Tiffany Plate is a vegetarian, freelance writer who’s passionate about animals, the food we eat and the environment. Her heroes are Michael Pollan, Francis Moore Lappe and Mark Bittman. 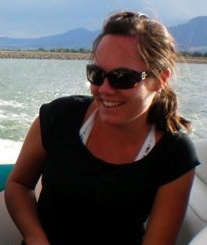 She lives in Boulder, Colo., and enjoys hiking, playing volleyball and kickball, reading and drinking wine with friends.